CRM stands for “customer relationship management”. CRM is software that stores customer contact information like names, addresses, and phone numbers, as well as keeps track of customer activity like website visits, phone calls, email, and more. Fill in the form once to watch all of our free demos! Actively track and manage your customers using a centralised customer relationship management platform to help grow your business. 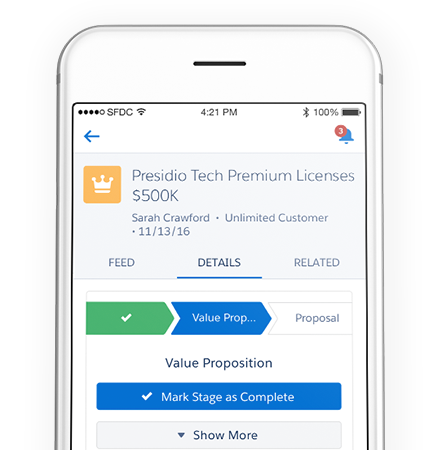 Automate processes to concentrate on creating leads, closing deals, and growing your customer relationships. Automate and personalise emails on massive scale for email blasts and campaigns. A CRM system helps your business grow because it tracks the history of customer interactions. Your business has one place to store every customer, every lead, every service request, customer information and all their preferences. Better understand the pipeline of prospective sales making forecasting simpler and more accurate. How Salesforce can help you? Salesforce provides business software applications as pay-as-you-go service over the internet. 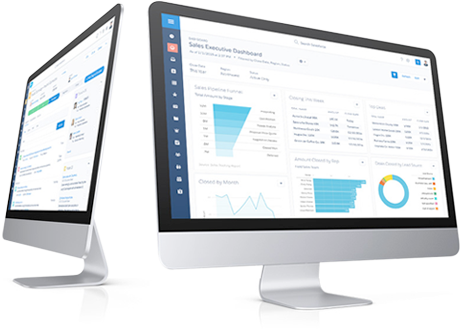 Our customer relationship management (CRM) solution gives you an instant connection to your sales team and visibility into your leads, contacts, account, activities and the ability to drive sales revenue from anywhere, anytime. You don’t need to spend money on servers or data centers to be successful with CRM. Once you sign up, you’re ready to go. Focus on closing deals and delivering a quality service.